The Alliance: Bloodlines Now on Goodreads! Hey everyone! I just wanted to give a quick update on Bloodlines. I have looked over the proof copy, and I found a few minor errors that need to be fixed. I should have a better idea of a release date once that is taken care of. Using CreateSpace has been a fairly easy self-publishing experience. The proof copy looks amazing! More information and art coming soon. As always thanks for your support and stay awesome! 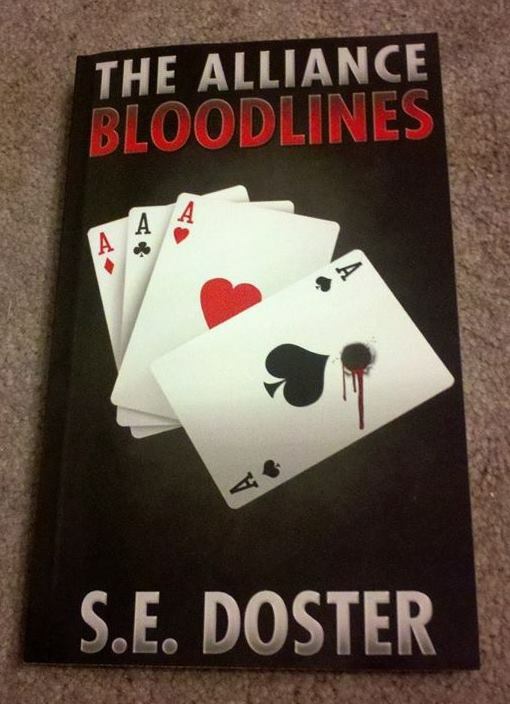 The Alliance: Bloodlines was formatted and submitted to CreateSpace. Now I must wait on the proof copy to be shipped so we can check for any issues. I’ve had several people asking questions so I thought I’d address those here too. I’ve had a lot of people asking about autographed copies, but I don’t have that detail worked out yet. I’ll make a post once I figure it all out. This is my first adventure into self-publishing (any publishing ha!) so everything is a learning process. The release date will be sometime in December, but I don’t have a specific date yet. The book will be available in both paperback and eBook through Amazon & CreateSpace. Bloodlines will be available for North America and Europe, but I will look into expanding that after the release.